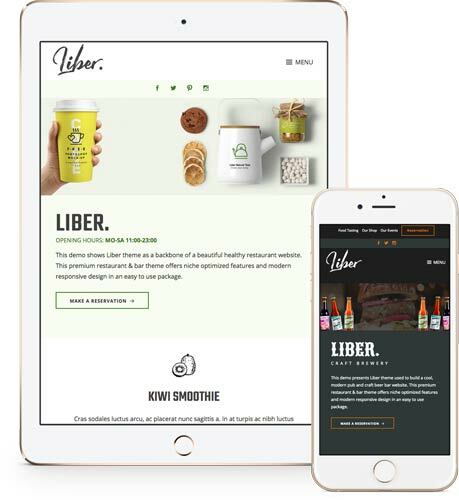 Liber is a modern, bold, and responsive restaurant WordPress theme optimized for restaurant, cafe and bar websites. 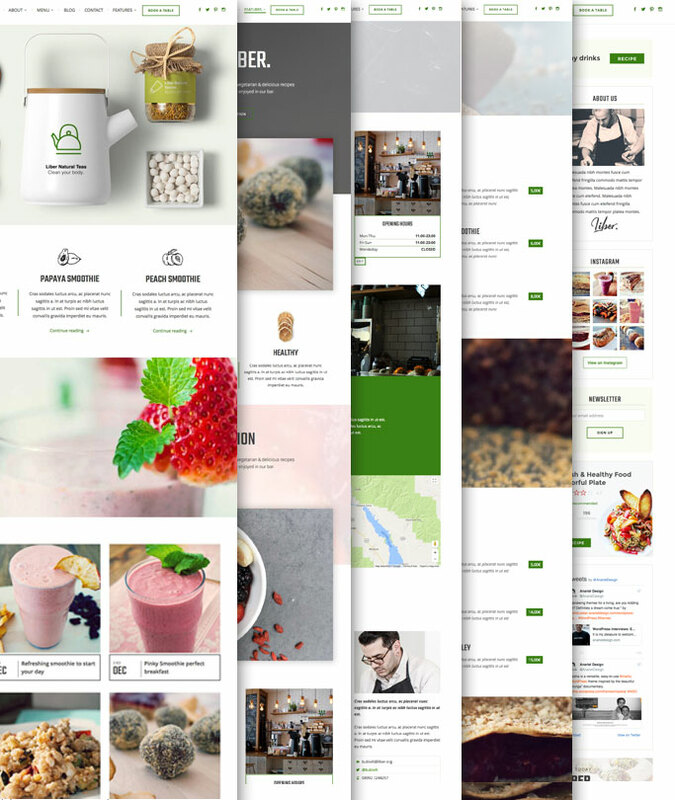 We’ve built a theme packed with all the features you need to make a professional eatery website. Even the features list will make you hungry. We wanted to make a restaurant WordPress theme that was easy for the website creator to use and easy for the website visitor to use. You’ll find it easy to, for example, add your latest menu, and then your visitors (and potential customers) will find it easy to find and read the menu, wherever they are. This ease of use – all packaged in a professional design – is what makes Liber special. Plus, it’s so flexible that we’ve created four pre-built demos to showcase the different setups for the theme. We’re hungry to see what you’ll do with it. We’ve built Liber with responsive design, which means it looks perfect on any device. This means your site’s visitors can enjoy your website wherever they are, and whether they’re using a desktop, tablet or mobile device. Need your map whilst on the go? With Liber, it’s no problem. A mobile-friendly website is essential: half your visitors will be using mobile devices, and Google favours sites that are mobile-friendly. With Liber, it’s one less thing to worry about. Take reservations through your website, offering pre-set fields for party size, time and date, and contact details. Your visitors will love how easy this is to use. We’ve pre-built four demo layouts with Liber, showing the different types of website you can build. Import any of these with just one click on to your site, and then just customize from there. Easy peasy. Share your opening hours and contact details. This isn’t the world’s most exciting feature, but it shows you the extent to which Liber is built with the needs of users in mind. Website visitors will be able to find practical information immediately when you’re using Liber. You’ll love how easy Liber is to use and set-up. We’ve included an innovative panel-based homepage setup which lets you choose from five pre-built panels. These let you get the layout and structure you want. You can even match the colors to your brand! You’re in control. Plus, you can customize your site by setting your own logo, color scheme and design preferences – all with a Live Preview in the WordPress Customizer. Liber features all the design and customization options you need without being overwhelming. You have all the options and flexibility you need to get the look and functionality you want. Food Menu Template – displays your menu in a smooth, modern design. Food Menu Classic Template – displays your menu in a classic, larger design. Food Menu List template – displays your menu as a list. So many options! Grid Template – adds an adaptable grid to your page which can pull in additional content in either two or three columns. WooCommerce Shop Template – for use with the WooCommerce (eCommerce) plugin, this neatly integrates with the rest of the theme. 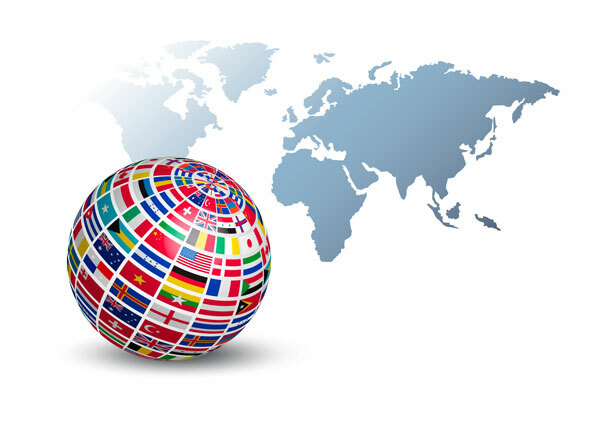 English is the default Liber theme language, but theme is translation ready and comes with POT file that makes it easy to translate theme strings using popular translation plugins like Loco Translate, WPML or Polylang. It also supports right to left writing used by languages like Arabic, Hebrew, Persian and many other languages. You might want to recreate theme demo and then start building your site by replacing the demo content. In this case One-Click import feature built into this theme will come in handy. 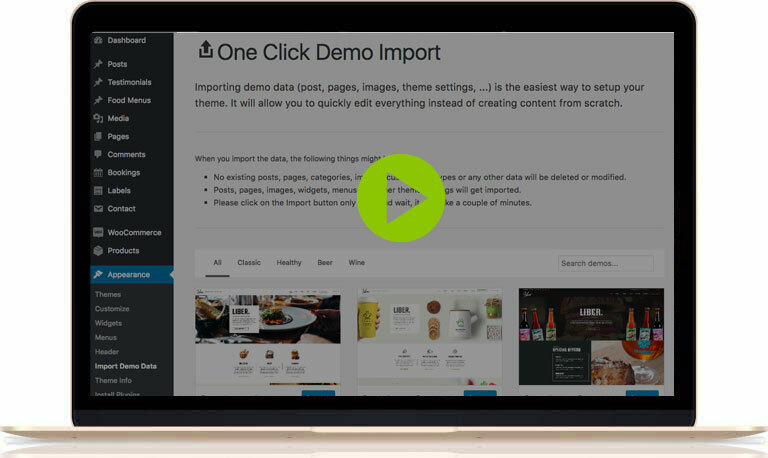 Simply choose between three available demos, install needed plugins and import content with one click. This feature might be especially helpful for WordPress beginners and people starting from a clean WordPress installation. For a short one click demo demonstration check the video. Create your own layouts with a drag and drop page builder! Liber supports three popular page builder solutions: Elementor (free), SiteOrigin (free) and Beaver Builder (paid). If you’re not getting the look or layouts you want with one of the built-in templates, use any of these powerful plugins to build your site exactly how you want it. Premium themes require premium documentation and support. Liber comes with both. Detailed documentation is included in the main download folder and is available online for easy access. Support we offer for our themes is second to none. If you have an issue with the theme we have a solution. It is as simple as that. Fast, effective and friendly support you can count on. 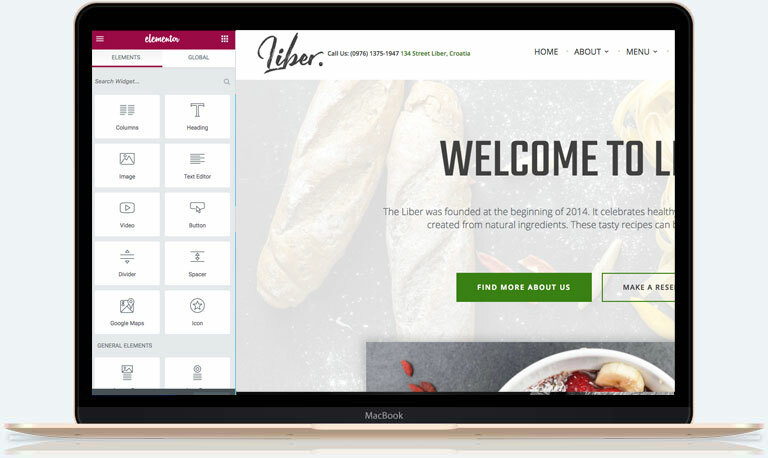 We created Liber to make beautiful restaurant, cafe, and bar websites accessible to everyone. We hope you’ll love how easy the theme is to use, how easy it is to setup, and how easy it is to maintain. You’ll find thorough documentation included to make this easy for you. If you need assistance at any point, just get in touch! We can setup the theme for you, and also provide one-on-one support. All 22 Premium ThemesYou get download access to all themes in our gallery, as well as new ones that might be released while your plan is active. You can continue using your themes after your plan expires. We would, however, recommend renewing your subscription in order to continue to receive support and updates (including new features, compatibility with the latest WordPress version, and important security updates). You can renew directly from your User Area. All our themes come with in-depth documentation, so you can get started quickly. If you need 1-on-1 support, you can submit a Support Ticket and we'll get back to you promptly. Themes purchased here on our website can only be used on "self-hosted" WordPress sites, and not WordPress.com. We do, however, offer a selection of our themes for WordPress.com, which can be purchased separately through your WordPress.com account. We'll install the theme for you! Theme Setup is an optional service which includes us installing and setting up the theme for you, replicating the theme's demo site on your own WordPress installation. This gives you a fast and convenient starting point for customizations. 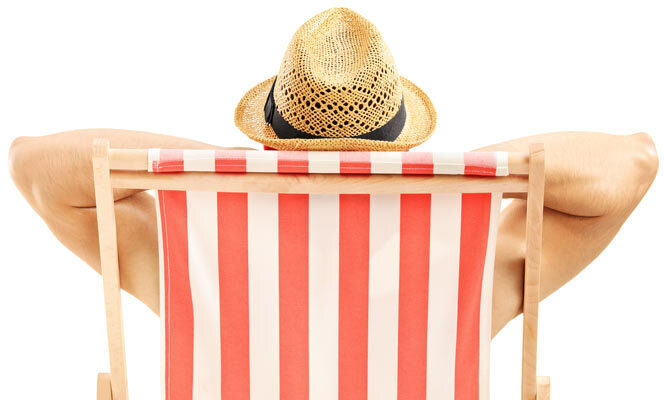 We've been delighting customers with our WordPress themes since 2011. Here's a selection of what some of our happy customers have said.